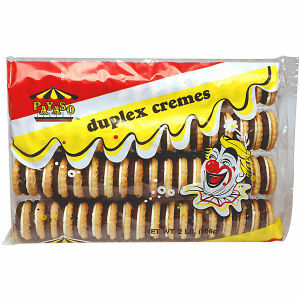 Payaso Two Pound Duplex is a delicious creamy sandwich cookie filled just to perfection and sandwiched between a chocolate and a vanilla flavored top. At two pounds this box of cookies is an incredible value to the consumer. Packed fresh and product rotated for maximum enjoyment.